Since the May 2014 Town Meeting and Town Election, when residents approved funding for the Library building project, Hopkinton’s Permanent Building Committee (PBC) has been hard at work refining the plans for the restoration, renovation and expansion of Hopkinton Public Library. 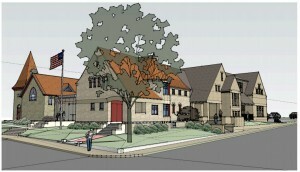 Based on feedback from members of the community before and after Town Meeting, as well as extensive discussions with the immediate neighbors of the Library, the PBC has been working diligently with Johnson Roberts Architects to refine the design of the Library to address three primary concerns: (1) reducing the “bulk” of the proposed expansion; (2) preserving the interior space of the former church; and (3) increasing the distance between the Library expansion and the neighboring property lines. Johnson Roberts has done a remarkable job addressing these concerns, while at the same time maintaining a functional, historically sensitive, and beautiful design. To reduce the “footprint” of the building, the revised design reduces the square footage of the first two floors of the building (what is visible above ground) from about 22,000 square feet to about 17,000 square feet. A lower basement level with usable space has been added to the new design (with light wells for natural light) in order to provide the necessary Library space incorporated in the original plans. 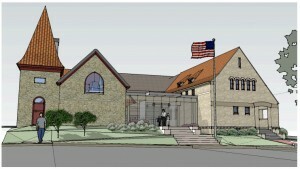 The revised design keeps both the original Library and the former church building intact (including both the ceiling and roof structures) and eliminates the originally proposed addition of a second floor to the church. 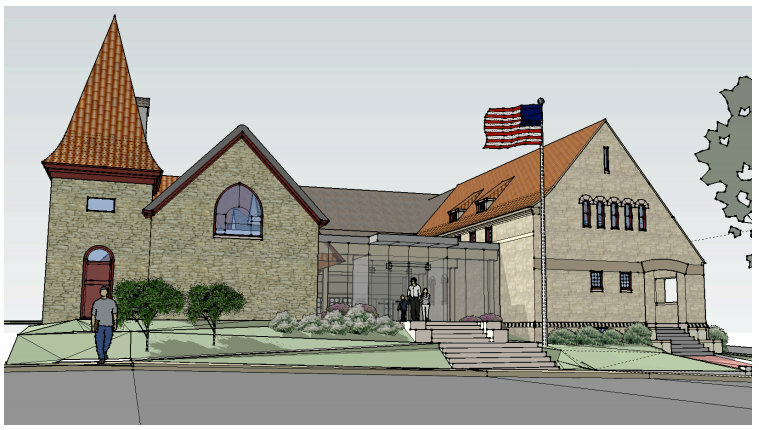 To accentuate the stone and granite of the original buildings, a new glass connector will link the original Library and the former church. Finally, at the request of the immediate neighbors of the Library, the expanded portion of the Library has been reduced in size and scale by lowering the roof lines by about four feet, as well as reducing the footprint of the building on the site. In addition, the distance from the new building to the property line has been increased from 10 feet to 20 feet. CLICK HERE FOR THE INTERIOR FLOOR PLANS. CLICK HERE FOR THE ELEVATIONS. In continuing with the design development phase of the project, the PBC is working with appropriate local officials and boards, such as the Planning Board, Historic District Commission and Director of Inspectional Services, to ensure the project meets local requirements. At its June 18, 2015, Public Hearing, the Historic District Commission approved the Certificate of Appropriateness for the Hopkinton Public Library with a 6-1 vote. On November 16, 2015, the Planning Board approved the Library Site Plan with a 6-0 vote. 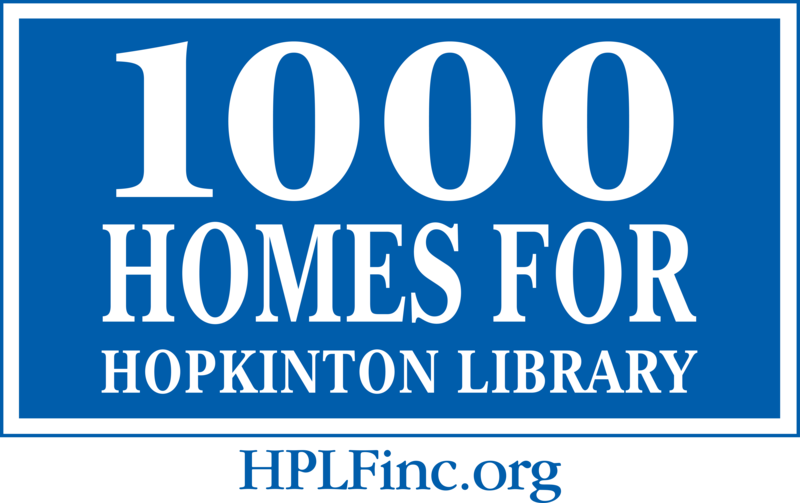 The PBC wishes to thank the people of Hopkinton and the Library’s neighbors for their feedback over the past year and looks forward to continuing this tremendous community collaboration so that Hopkinton residents may soon enjoy a beautiful and functional Library that benefits current and future residents of Hopkinton.